Vitalcloud is a powerful cloud based management reporting tool for nurse call systems in aged care, independent living, low-care, high-care and hospital facilities. It provides access to real-time call status, response statistics, audit reports and systems maintenance functionality from anywhere in the world. Vitalcloud is accessed through smartphone and tablet browser connections, or using the Vitalcloud application available through the Google Play or Apple apps stores. With access to detailed reports and statistics, operators gain valuable insight into facility performance while keeping a permanent record for compliance and audit purposes. Critical site information can be viewed at a glance using the real-time dashboard. The status of all pendants, call points and sensors can be displayed along with outstanding calls, response times and low battery warnings. 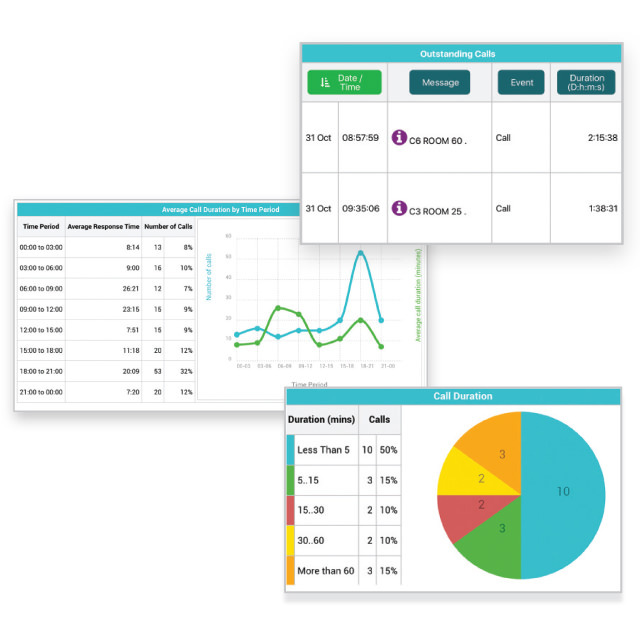 Vitalcloud includes a highly versatile reporting engine that provides facility wide performance analysis in an easy-to-read graphical format. 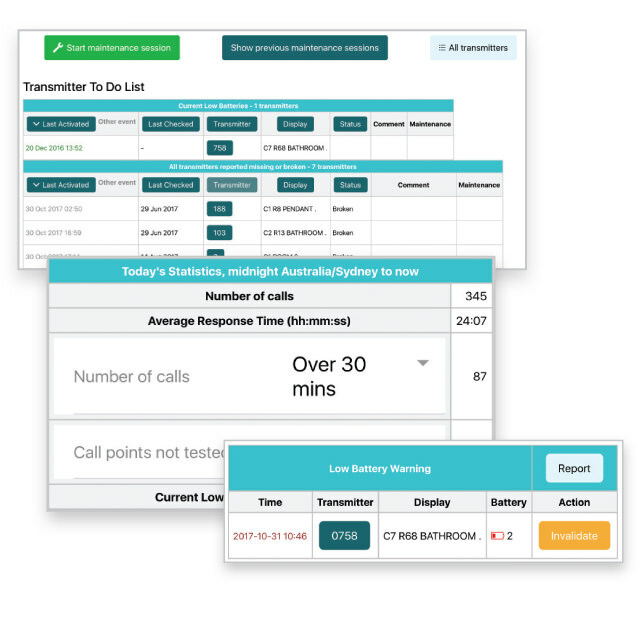 This includes summaries of call volumes and response statistics across any specified period. 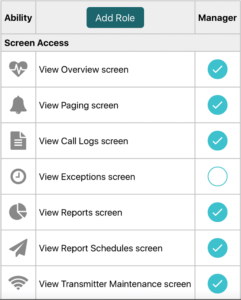 All activity on the nurse call system is logged by Vitalcloud and a range of standard and customised reports are available. A search function provides the ability for management to view, print and export data relating to specific dates, times, calls or messages in the call text. This report can be invaluable in addressing concerns of family, management and medical staff as to the sequence, response and timing of events. Data can also be exported in a .CSV format for ingestion into corporate information systems, or simple manipulated in programs like Microsoft Excel. A wide range of performance reports can be scheduled to email to facility staff, management and corporate offices. Vitalclouds maintenance module simplifies compliance and accreditation with a structured approach to system testing. This reduces testing time and quickly identifies pendants or call points that require service. Using Vitalcare’s ‘always on’ two-way wireless protocol, all pendants, call points and sensors report in every day to confirm they are operating correctly. These status updates can be viewed within the maintenance module. 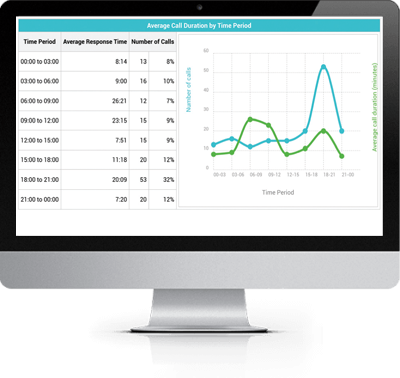 Vitalcloud provides a range of accurate systems information for nurse call activation, subsequent responses, user authorisation and system performance. Audit trails are also provided on maintenance schedules which simplifies accreditation and compliance reporting. A matrix of user roles can be defined within Vitalclouds management module providing precise control of system access. Clients with multiple facilities use reports and core data from Vitalcloud to benchmark and compare facility performance. This information is essential to assess staffing requirements, identify heavy use residents and manage quality of service standards. 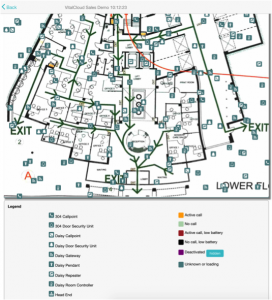 A systems management module includes an interactive map of the facility with identified locations for all devices. 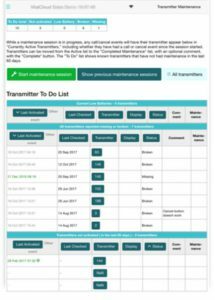 This is an important tool for both on-site maintenance personnel and Vitalcare service engineers to support the system. System support can also be carried out remotely via the cloud connection. This capability dramatically reduces service travel time and associated costs. Vitalcare uses industry standard 128-bit Secure Sockets Layer (SSL) encryption technologies to protect all of the information contained on Vitalcloud.